More cream cheese frosting please. 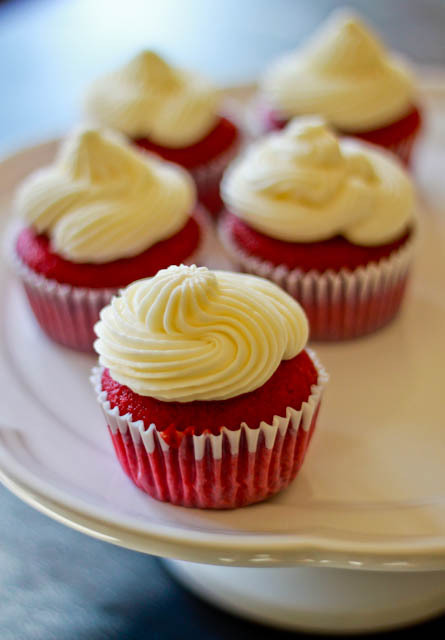 Once upon a time in cupcake world, Red Velvet was born in a young baker's humble kitchen in South Carolina, on a gorgeous Valentine's Day. I'm totally making this up by the way. 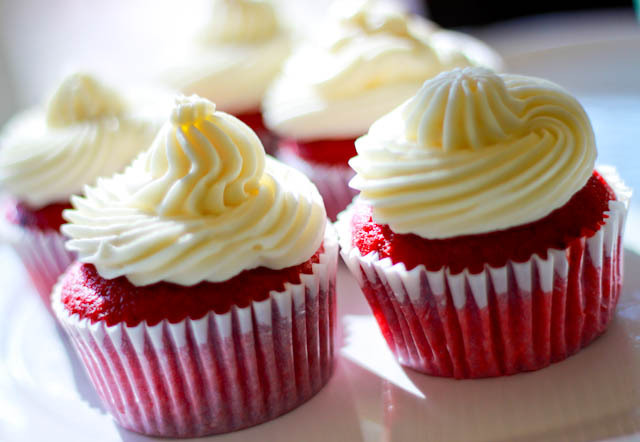 Nobody can quite put a finger on when this sinful creation came to be but I imagine red velvet cupcakes to be the temptresses of cupcake land. Like a sultry vixen dressed in a red hot number, it calls your name and seduces you with cocoa and cream cheese frosting, like no other cupcake can. 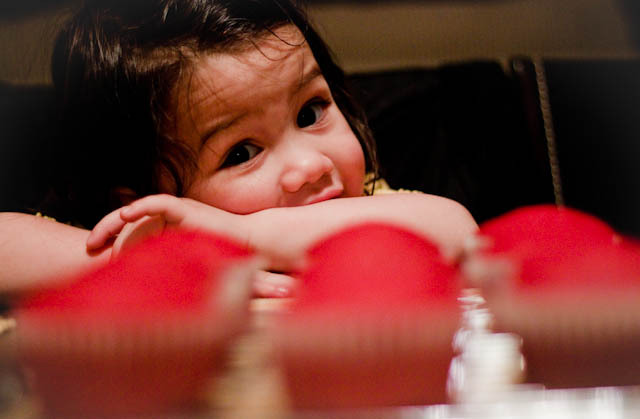 Last Easter weekend, my Tita Mimi and I baked red velvet cupcakes with the kids. I'm very excited to show you how they turned out. 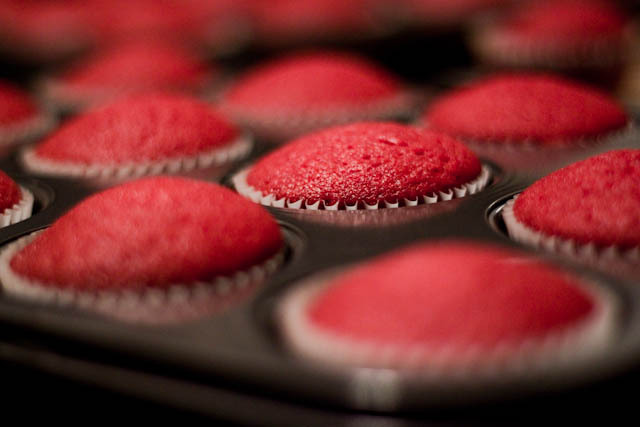 We started baking late Friday night and the aroma of freshly-baked cupcakes woke the house up! 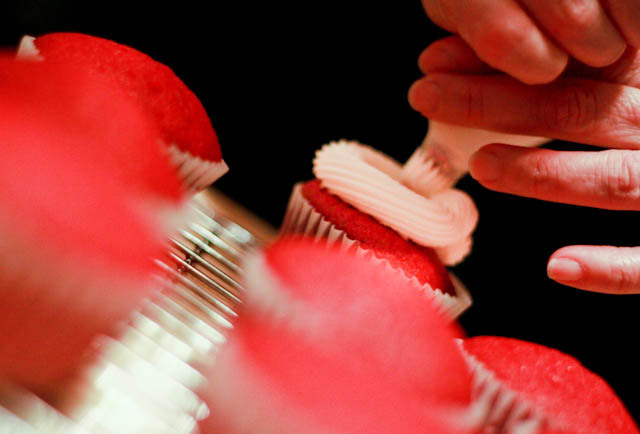 The difference between a good red velvet and a bad one? Good cream cheese frosting. Either you got it or you don't. "Auntie Kris, pwease, cupcake?" an impatient spectator said. The sun shines on my red velvets--they were even better the next day! 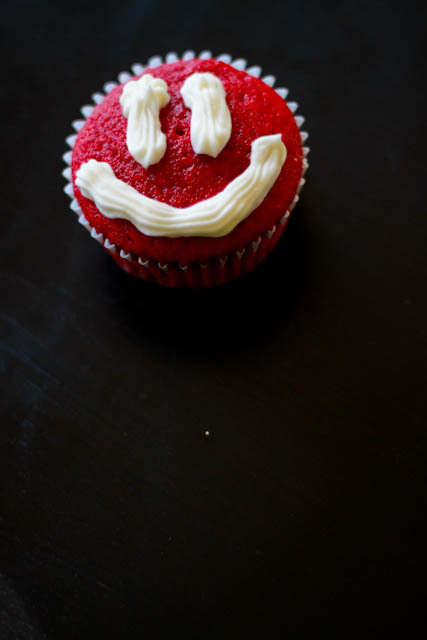 Red Velvets Make Me Smile. Sigh. 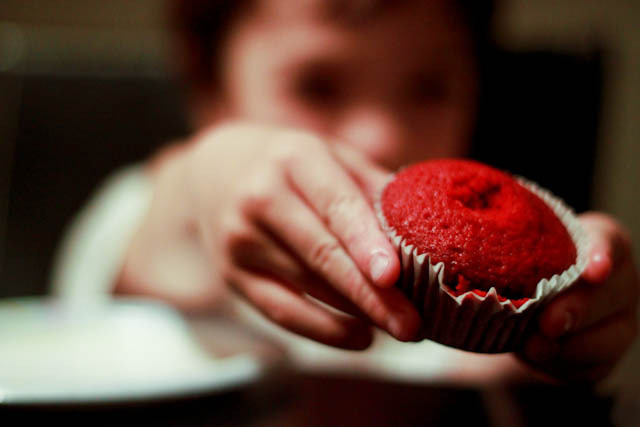 Thank you, Stefanie Gaxiola, for my red velvet cupcake mix (remember Stefanie?). She sent me one of her nifty ready-to-bake red velvet cupcake mixes that comes with frosting, cupcake liners, and the whole she-bang (well almost, all I had to get was buttermilk and eggs!). Check out her brand-spankin new website, it's pretty sweet. Congratulations Stefanie! Wanna make some? Try this recipe from Paula Deen. Hey, NYC! Do you know where to find the best RVC in the city? I'm on a serious quest here. Help! the cupcakes did not disappoint! YUMMY!